JERUSALEM, Israel (BulgarianMilitary.com) – An Israeli air force (IAF) Iron Dome battery in northern Israel has intercepted a Syrian missile launched shortly after an alleged attack of Israeli fighter planes on targets near the Damascus international airport on Jan. 20, learned BulgarianMilitary.com. The Israeli defence forces (IDF) confirmed that a missile was launched at the northern Golan Heights intercepted by Iron Dome over Syrian territory. 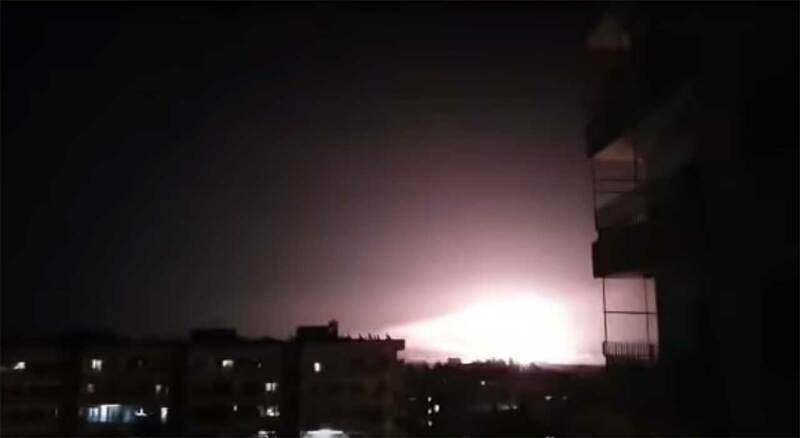 The Russian army claims that the IDF fired seven missiles from the Mediterranean into a target at Damascus airport, saying that the missiles were intercepted and that no damage was caused to the airport. The Syrian Center for Human Rights, an opposition group based in London and a center for reports from Syria, said the site was attacked in the al-Kiswa area, where attacks have already taken place. According to reports, a week and a half ago. If Israel is behind the incident, it is apparently the first attack in Syria since Chief of Staff Kochavi took office, and the attack took place while Prime Minister and Minister of Defense Benjamin Netanyahu is visiting Chad. The Al Quds Al Arabi newspaper reported on Sunday that Russia had conveyed to Israel a message that it intended to renovate Damascus International Airport with logistical and technical aspects. According to the same source, Russia informed Israel that it would not be able to continue air strikes against sites near the airport to which arms shipments from Iran arrive. According to the Russians, the same attacks are causing airlines from the region who want to return to Syria to reconsider. (Updated 21.01.2019) – Another Israeli attack in Syria in less than 12 hours. On the night of Jan. 20 Israeli fighter aircraft attacked military targets belonging to the Iranian Quds Force in Syrian territory. The IDF said that dozens of Syrian surface-to-air missiles were launched during the attack. As a result, a number of Syrian air defense batteries were attacked and destroyed. The IDF said that this was the heaviest attack on Iranian targets in the Damascus area.